Starryland Australia has appointed the multi-award winning Probuild as the builders for the second stage of Promenade in Parramatta. Probuild are an established construction company and they have grown to become one of Australia's largest and most successful construction companies. With more than 1,100 employees Probuild is a national company with significant ongoing projects in Western Australia, Victoria, Queensland and New South Wales. "We are thrilled with the appointment of Probuild for Stage 2 especially following on from their involvement in Stage 1 and we look forward to working with them on this exciting project. They have extensive experience and a reputation for building high quality developments," said Hao Liu, Executive Director of Starryland Australia. Construction of Promenade Stage 2 is scheduled to commence in March 2016, with completion expected in early 2018. Stage 2 has been designed by Award-winning architects Turner with 1.2 hectares of landscaped parklands, private residents' podium garden and a retail plaza. 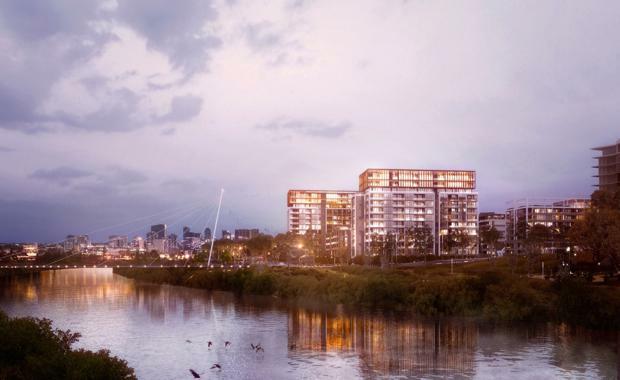 "Promenade is a landmark development for Western Sydney creating a vibrant new five hectare riverside precinct," said James Swete, Sales and Marketing Director for Starryland Australia. "The resort-style living at Promenade will offer an active outdoors lifestyle in a picturesque riverbank location that is well connected to transport links and also in close proximity to quality schools, the University of Western Sydney and Westfield Parramatta."